This large, detached barn has been sympathetically converted to provide a high standard of holiday accommodation with a modern feel. The ground floor has an open-plan design (with underfloor heating) which is ideal for get togethers. Each bedroom is perfect for couples, whilst the bathrooms boast either two-person baths or large showers complete with anti-mist mirrors! The lawned garden comes complete with its own morning south-facing patio and hot tub. Situated on Nether Burrows, a non-working farm, Sunshine Cottage provides a lovely secluded rural setting ideal for a long overdue reunion, to celebrate a special birthday or anniversary...or just to get family or friends together and enjoy a relaxing holiday. Nether Burrows Farm is set at the end of a 1-mile rural track within 4 acres of land complete with a large natural pond nurtured to provide a beautiful relaxing setting in which to sit and meditate or partake in a spot of fishing; it is also home to three other holiday cottages. Whilst Nether Burrows offers enough to keep everyone entertained, it is ideally positioned to explore all the Peak District has to offer. The bustling city of Derby is just 4 miles and within easy driving distance are Chatsworth House (which boasts a famous collection of art treasures as well as beautiful gardens) and Haddon Hall (England’s most complete and authentic medieval house dating back to the 14th century). Carsington Water offers nature trails, a wildlife sanctuary, riding, water sports, cycle hire and a restaurant. There are many excellent pubs in the surrounding villages. Dovedale, Markeaton Park and the market towns of Ashbourne and Bakewell are also worth a visit. Large, beamed, open-plan living/dining-room with wood-burning stove, exposed brick work, tiled/wooden floor and large, well-equipped kitchen area with electric range (for cooking) and tiled floor. Separate W.C. First floor: Double bedroom with 6ft (zip & link) bed, additional single bed (alternative sleeping only) and pull-out bed (for child, alternative sleeping) and en-suite bathroom/W.C. with two-person bath. Double bedroom with 6ft bed (zip & link) and en-suite shower room/W.C. with large shower cubicle. Further double bedroom (restricted access to bed) with en-suite shower room/W.C. Second floor: Double bedroom with 6ft bed (zip & link). Bathroom/W.C. with two-person bath. All bedrooms with TV. For a better idea of where Sunshine Cottage is, you can see Sunshine Cottage on the map below. Sunshine Cottage is in Derbyshire; should you be on the lookout for a special offer, you can find all the special offers in Derbyshire. It's always worth checking to see what is on offer at the moment. 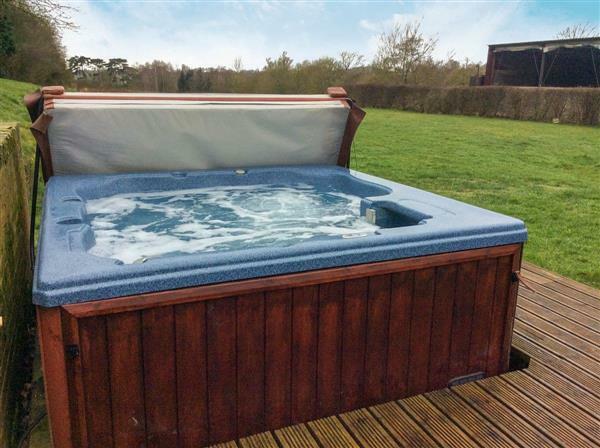 Do you want to holiday near Sunshine Cottage (RTT7), you can see other cottages within 25 miles of Sunshine Cottage; have a look to find your perfect holiday location.